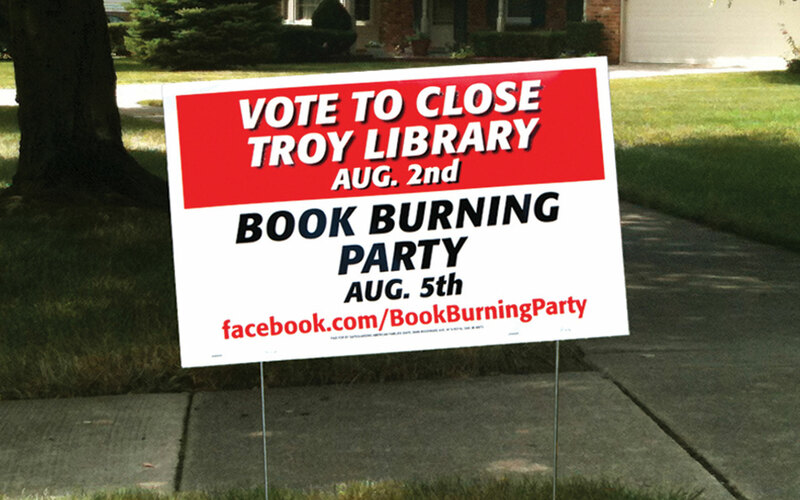 Troy Public Library would close for good unless voters approved a tax increase. With little money, six weeks until the election, facing a well organized anti-tax group whod managed to get two previous library-saving tax increases to fail, we had to be bold. 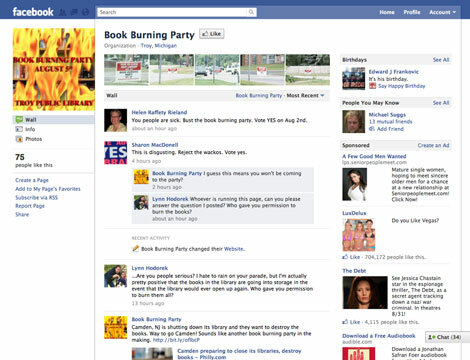 We posed as a clandestine group who urged people to vote to close the library so they could have a book burning party. 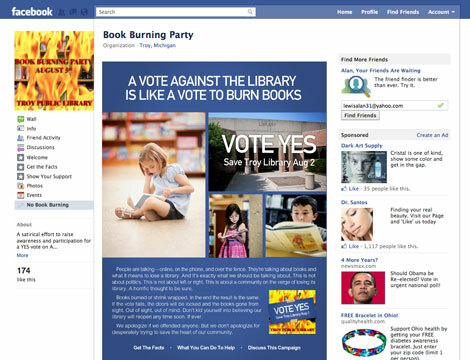 Public outcry over the idea drowned out the anti-tax opposition and created a ground-swell of support for the library, which won by a landslide.